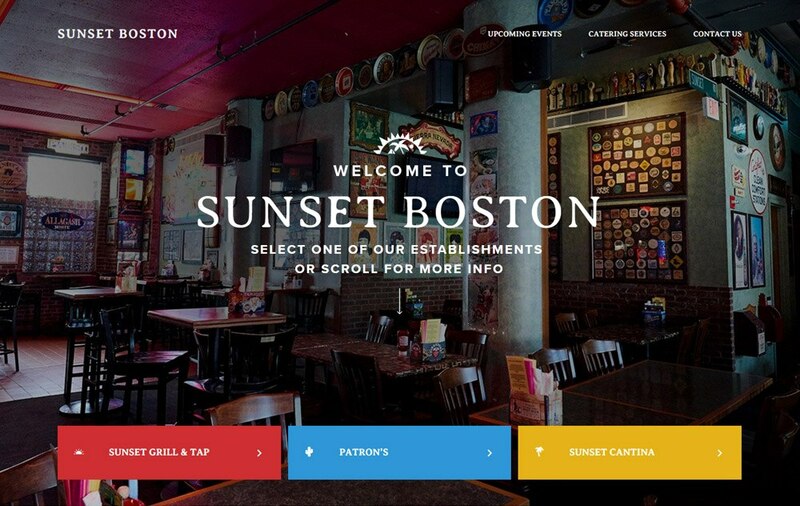 Sunset Grill & Tap, Patron's and Sunset Cantina are all restaurants part of Sunset Boston. Located throughout the Boston, Massachusetts area, Sunset Boston's restaurants offer a wide variety of beers on tap and your favorite Mexican dishes, which you can even order online. All three restaurants host various events including live music, trivia and bingo. Sunset Boston also offers catering services and can host your next private party. It's no wonder these three restaurants are a favorite among Boston patrons! The challenge of this project wasn't just web design, but working closely with the Sunset Group to understand the needs of its three different restaurants. Our main goal was to properly and effectively introduce the three different restaurants under one brand called the Sunset Group, while also providing easy access to all three restaurants from all three restaurant pages. In addition, some of the more exciting features of this project was a combined calendar with filters to view all Events of one or all restaurants. Another was the introduction of online ordering and a creative, clean way to display the multiple options from GrubHub, Foodler, and their own custom online ordering. We also integrated the TapHunter feed to show beer on tap, beer in bottles and cocktails dynamically through the TapHunter API - this results in allowing website visitors to easily view all current beer on tap and bottles. 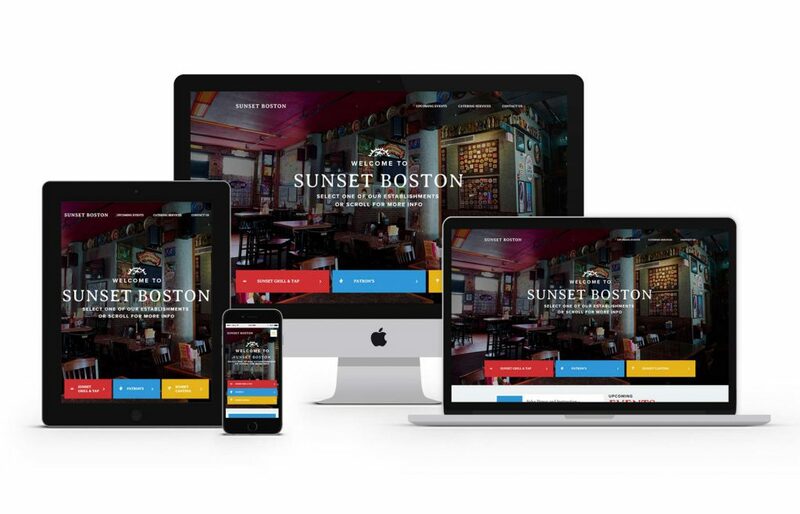 Like most of our websites, the new Sunset Boston website was built using WordPress as the CMS (Content Management System). It's also fully mobile and tablet friendly, as it leverages Twitter Bootstrap for the responsive framework. If you get too hungry browsing the new website, be sure to visit one of Sunset's three locations!